by Andy Higgs in Features, New York, Places, USA. The Big Apple is perfect for children of all ages, and simply being in the place they’ve seen so many times in films, TV series and cartoons will hold them spellbound for the first day or two. The skyscrapers of Manhattan and the acres of green space in Central Park are two obvious attractions; make the most of the view from the Top of the Rock platform (which is marginally better than the Empire State Building but you can always do both) and maybe hire bicycles to explore Central Park. 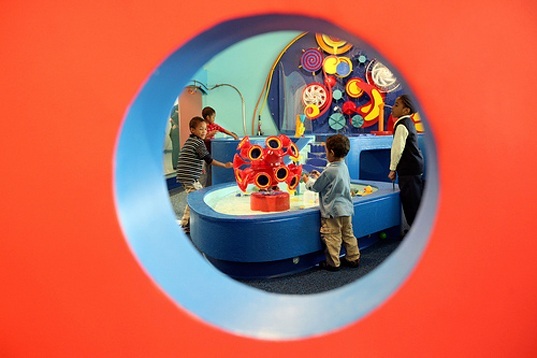 Having first opened its doors in 1899, the Brooklyn Children’s Museum was the first museum specifically catering to children in the world, and following a $46 million renovation and expansion it is also an extremely green one. There’s something for everyone here; there’s a special hub for babies up to 18 months, the ‘Totally Tots’ area aimed at the under fives and the big draw, ‘World Brooklyn’ which is an interactive maze of small stores based on real businesses in Brooklyn. The museum is also home to live animals as well – including a 17 foot long Burmese python. With enough authentic historic, ethnological and technological exhibits on display the museum is as educational as it is fun. Opening hours vary according to season – see website for full details. Whether or not your children (or indeed you) are big fans of Alice in Wonderland, it’s worth visiting this cosy tea shop for the food, tea and of course the decor. There are over 100 different teas to choose from but this daunting task is made easier by a helpful guide. 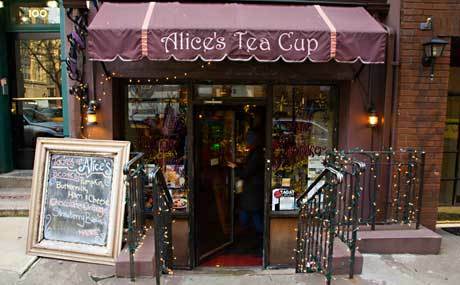 Alice’s Teacup has rightly won a clutch of accolades as a family-friendly restaurant and the brunch menu is justification alone for the subway ride – make sure you try Alice’s Curious French Toast. The Children’s Menu includes banana cake with Nutella filling and cream cheese frosting, home made graham crackers and pureed baby food. The room at the front of the store has a range of themed gifts as well as a take away service – you can just grab a cuppa or order a special picnic box if you fancy eating in the park. 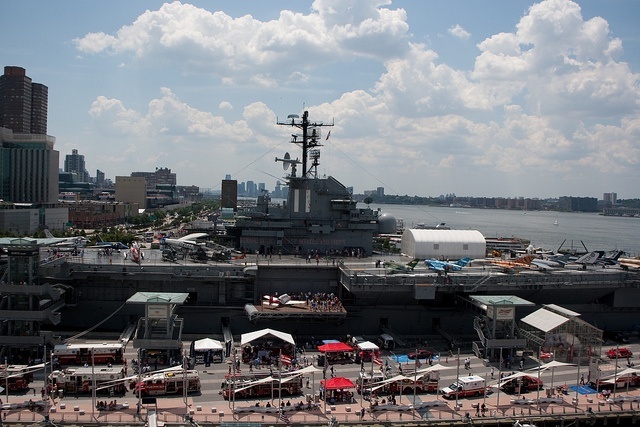 The USS Intrepid aircraft carrier is part of an unusual museum experience for the whole family. Following an extensive two-year restoration, the Intrepid Sea, Air and Space Museum is once again open on the Hudson River on Manhattan’s West side. You can explore over 20 restored aircraft, the Intrepid Aircraft carrier itself, a British Airways Concorde, a Flight Simulator, the Growler submarine, an extensive array of interactive exhibits and now also the Enterprise Space Shuttle. Taken together, the air and sea craft provide an education in in the history and humanity behind military technology from World War II to the present. The USS Intrepid was used by the U.S. Navy from 1942 until the early 1970s and saw action in World War II (surviving kamikaze and torpedo attacks), the Korean War and the Vietnam War. It was home to more than 3,000 sailors in its heyday and carried more than 100 planes and helicopters on its massive deck. The museum explores the undersea world, both on the Growler and through special exhibitions covering submarines and underwater study. The children will enjoy climbing the narrow staircases and navigating the tight corridors of the vessels. There is also a mess hall inside which serves far better food than that which the sailors could expect. The museum can also be a good bet on a rainy day with plenty of below-deck activities. A visit to the world’s biggest magic shop is not something that your children will forget in a hurry. With almost 8000 different tricks, props and magic sets and a staff made up of magicians who preform free shows all through the day, you’ll be entertained whether you’re just here to browse or kick off the magic career of one of your offspring. Whilst this place many not be as old as the one in Berlin (having ‘only’ been going since 1925), what it lacks in age it more than makes up for in size. 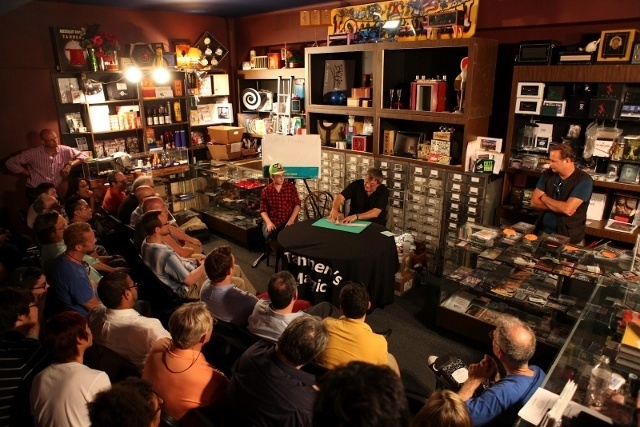 It’s also very easy-going with no pushy salesmen – or magicians hypnotising you to buy their wares. Okay, the headline there was a little naughty, but we couldn’t leave this out. Your kids will thank us (as might your dentist if he’s looking for extra work) and you’ll certainly be popular with the little ones until it’s time to leave. 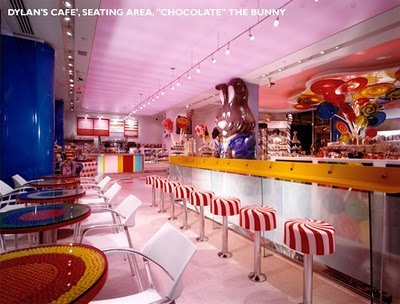 Willy Wonka himself could have designed Dylan’s Candy Bar, a gigantic sugar rush of right over the road from Bloomingdale’s. In fact this place is the brainchild of Dylan (daughter of Ralph) Lauren and Jeff Rubin (an FAO Schweetz co-creator) who cleary have something of a sweet tooth. There’s almost too much to take in but suffice it to say that if it’s candy you’re after, you’ll find it here. As well as the well-known brands such as Pez, M&Ms and Skittles with their own areas you can order a signature ice cream sundaes at the Bunny Bar; the ‘Central Park Zoo’ seemed an appropriate choice and we weren’t let down. For a special treat you can also buy custom-made cakes and ice-cream for your children. If eating the stuff’s not enough, you can always bathe in it – you can buy Cheeky Chocolate-Milk Bubble Bath and Hot Chocolate Bath Salts. You can also grab some chocolate candles to complete the experience. One of the newer parks in the 5 boroughs, the waterfront area now known as Brooklyn Bridge Park has been expanded and revitalised in recent years. Work is still ongoing but new areas will be opened to the public as they are ready. 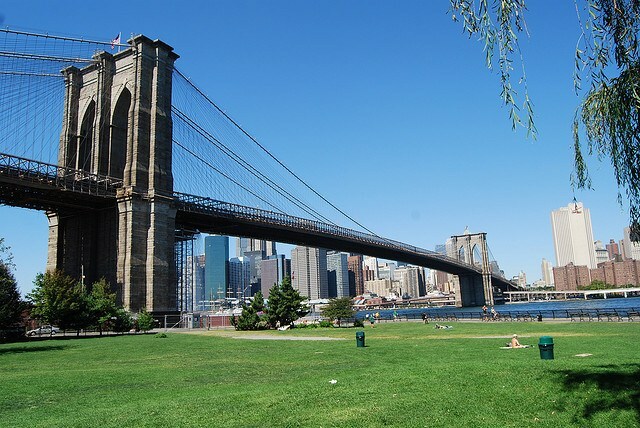 It has always been a great park to visit due to the fabulous views of the Manhattan skyline, East River, Statue of Liberty, and of course Brooklyn Bridge. A sunset picnic on Pier 1 is a truly stunning experience and the range of activities on offer continues to grow – a beautiful carousel from 1922 and a pop-up pool are recent additions. Free films are often shown during the summer months on a huge screen and it’s difficult to think of a better place to watch one of the classics. Top off the experience with the walk over the bridge which is an experience in itself. We hope you enjoyed these tips – if you think we’ve missed anything out or you have questions or comments please do let us know in the box below – and make sure you sign up for email updates or subscribe to the RSS feed by using the links on the right so you don’t miss a thing from Grown-up Travel Guide!